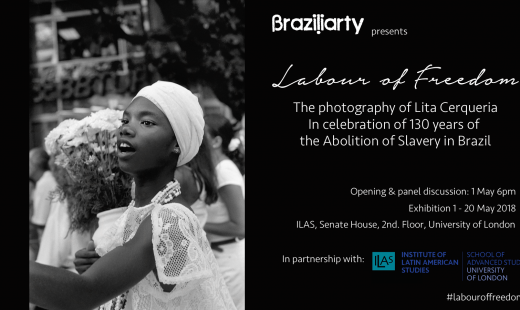 Braziliarty and ILAS at the University of London present a photographic exhibition in celebration of the 130 years of the abolition of slavery in Brazil by Lita Cerqueira showing images of Brazilian women in their living and working environments. In celebration of the 130 year of the Abolition of Slavery in Brazil. Brazil was the last country in the Western world to abolish slavery. By the time it was abolished, in 1888 (55 years after the U.K.) an estimated four million slaves had been imported from Africa to Brazil, 40% of the total number of slaves brought to the Americas. In a country where racism is still a social and economic issue, the work of a black women photographer shows the expressions of freedom showing afro-Brazilin women working as freelancers, free of choice. The black and white images were taken between 1976 and 2010 along the career of Lita Cerqueira known by capturing the afro-Brazilian culture for 45 years. The images will be shown until the 20 May coinciding with Photo London. Lita Cerqueira is a women photographer in Brazil, born in Salvador in 1952 photographing the black scene in Bahia, Brazil for around 45 years. Originally an actress Lita worked with important directors such as Neville de Almeida, Nelson Pereira dos Santos and Glauber Rocha around the country. From 1973 she began to dedicate exclusively to photography. focusing in particular on the condition of the African population in Brazil. 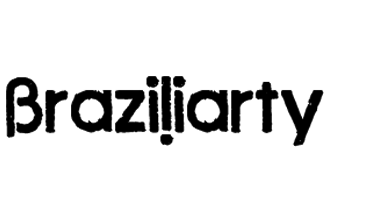 In 1976 she held the first solo exhibition, with his series “Popular Festas na Bahia” and “The Architecture of Salvador Centro Histórico”. But diligent for great time concerts she will quickly enter the scene photograph and provide a valuable archive containing images of Maria Bethânia, Gal Costa, Rita Lee, Joao Gilberto, Jorge Ben, Dorival Caymmi, Luis Melodia, Chico Buarque, Toninho Horta, Ney Mato Grosso, Milton Nascimento, Alceu Valença, Cazuza, Egberto Gismonti, Hermeto Pascoal, Nara Leão, Carlinhos Brown, Cassia Heller, among others. But it was with Gilberto Gil and Caetano Veloso that Lita created a relationship of friendship and today brings together a series of photos of the daily life of the artists, collecting interesting stories of the journey of these emblematic characters in Brazilian music. In January 1993, Lita was successful in Brazil and Europe with the launch of her first collection of “human types” postcards and unpublished photos by Gilberto Gil, Caetano Veloso, João Gilberto, Chico Buarque, Milton Nascimento, Carlinhos Brown, Peter Tosh. Over the years, Lita’s images have been published in several books, magazines, and album covers. Lita has exhibited in Brazil and France, Italy, Germany and the US.